The original title for this Korean drama was Hello Monster, which I thought was intriguing, not to mention more appropriate as a description for this particular plot dealing with the criminally insane, but then right before it premiered they changed the title to the rather bland I Remember You. Meh. I prefer to call it by its original title, it has more relevance, pizzazz, and irony. Sometimes the scariest monsters are human beings. 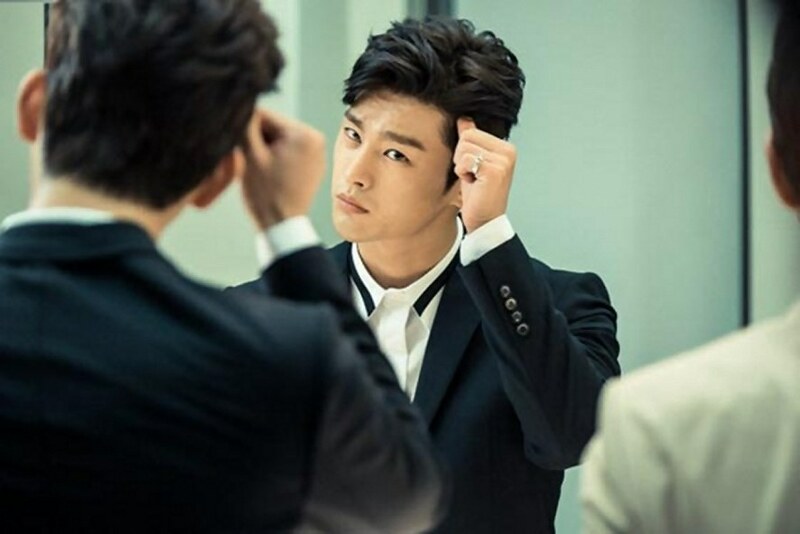 I decided to watch this drama solely for the lead actor, Seo In Guk (Master's Sun, The King's Face), whom I find very attractive in his own way. I still consider the sageuk The King's Face where he played Prince Gwanghae to be his best performance by far, and he won awards for it, so I guess I was right all along! When he plays characters in modern day stories like this one he tends to play them cool as cucumbers, but in The King's Face he was extremely passionate. Magnificent performance. However, Hello Monster is interesting too, sophisticated and sometimes brooding, with often sad memory flashbacks adding tension and poignancy at just the right moments, and it has a superb supporting cast who will quickly grow on you as the series progresses. It's a decent crime-solving melodrama with romantic comedy touches -- if you're looking for the best crime solving drama of 2015 without a romance then you'd have to pick the brilliant Missing Noir M, no contest. Hello Monster seemed to copy cat that show's outer narrative structure. However, if you want a crime solving drama with romance this will do just fine. Hello Monster has more standard K-drama cliches in the romance department, but it raises its own bar with the mystery and crime solving parts of the drama, which will keep you on your toes, trying to figure out what's really going on underneath the characters' outward actions. The high quality of all the actors, and the suspense they bring to their roles, will no doubt keep you watching Hello Monster till the thoughtful ending. It didn't leave me in a place I would have suspected when I first started it, and I liked that -- I like surprise endings. the next wow you with his superior martial arts skills! Female lead is Jang Na Ra, mostly known for the romantic comedy with Jang Hyuk called Fated To Love You. She's very good here, although I have to be honest, I thought her personal chemistry with Seo In Guk felt slightly forced at first. Their relationship during the course of the drama did melt from icy river flow to tropical waves, and it improved and became more sensual, but frankly I personally am getting a bit tired of some of the more routine romantic cliches in K-dramas: the long stares, the stalking, the chasing, the piggy back rides, the back hugs, the open eyed kisses, etc. What's wrong with simply telling a person, "I love you"? Jang Na Ra's character had been tracking Seo In Guk's character in the story for quite some time, due to some questions she had about his family background, so it took awhile for any tenderness to enter into their dealings with one another because of the basic mistrust between them -- she had clear memories of meeting him earlier in their lives, and he didn't remember her at all. Turns out his character has selective memory due to a trauma in childhood where he lost his father and brother under mysterious circumstances. Also in the supporting cast is Choi Won Young from Twenty Again and Three Days and Love In Memory, who plays a villain / murderer in the show. Frankly I'm getting tired of seeing him playing mean and evil guys, he needs his very own mature romance melodrama where he can be the lead romantic guy. He's certainly capable of it even though he's a more mature actor. Also on board is actor / singer D.O. who was so great in It's Okay, That's Love. Here he plays an insane criminal behind bars named Jun Young, who enjoys taunting his own lawyer, played by veteran actor Jun Kwang-ryul, from Masked Prosecutor and many other dramas. His performance here reminded me somewhat of Kang Ha Neul's chilling criminally insane character in Missing Noir M.
Anyone recognize the cute tyke on the far right? Also I was happy to see young actor Park Bo Gum (who played the cellist / conductor in Tomorrow's Cantabile) and what an intense performance he gives here again as Min, a young man haunted by his childhood, having evil murderous thoughts which disturb him. He needs professional help, big-time! Whenever his character smiled with secret evil intent he gave me chills. "I Want To Be Like Hyung"
This young actor is going places in future, to do some really out of this world lead roles ... mark my words and remember him. He's only 22 as of this writing and has many years of great acting experiences ahead of him. I will never forget the delight he gave me in Tomorrow's Cantabile when his character conducted Leonard Bernstein's Mambo from West Side Story. That was my favorite scene in the whole show. What a talented young man. He must have relished playing this difficult role. In very many ways you might find yourself continuing to watch this drama simply out of curiosity to see how he ends up in the story. Lee Hyun (Seo In Guk) aka David Lee, is a mysterious criminal profiler with a rather gruff, hard exterior and a sharp tongue. He has repressed and forgotten memories surrounding how his father and brother died years earlier, and when he receives a cryptic anonymous email about their loss, which triggers a partial memory he had forgotten, he returns to Korea from America where he had been working as a profiler after getting a criminal justice degree at John Jay. He hopes to finally put the puzzle pieces together about the facts surrounding their deaths, which were possible murders. He also agrees to work with a police department to solve a criminal case plaguing Seoul involving a man attacking multiple women, kind of like a Boston Strangler type, and he remains for other cases as well. Slowly his memories return to him and we see a lot of flashbacks crucial to understanding how he became the man he is today. 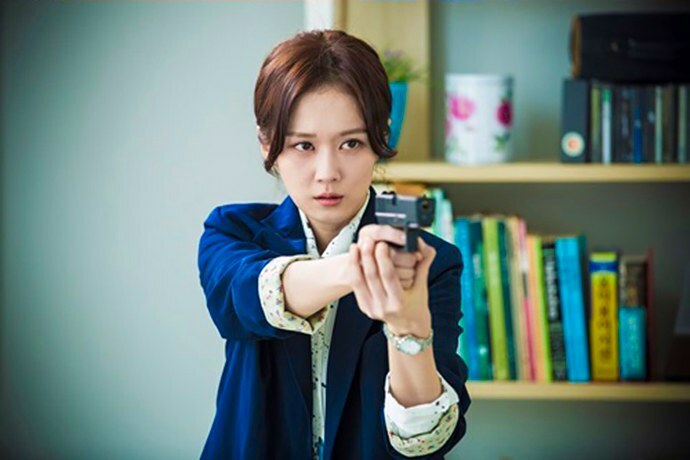 Cha Ji An (Jang Na-Ra) is an elite female detective in this same police department, who has been tracking Lee Hyun for years, concerned about his family background and current mental state. They had known each other as children but while she remembers him, he doesn't remember her at all. They end up working on the same team to solve criminal cases. However, Lee Hyun, because of his brilliance, always seems one step ahead of her and her team members in discovering clues as to the identity of the criminals they investigate. This tension between all of them builds up resentments in the force. Can they ever learn to trust one another and work together as a top-notch team? Will the mysteries behind Lee Hyun's father and brother's possible murders ever be solved? Are people who are in health professions or other helping professions, like police men and women, immune from mental problems? Is there any hope to cure a serial killer or other criminally insane person? Will Hyun ever remember Ji An from his past? Hello Monster is a drama with many thought provoking moments at times, making you wonder about a lot of different issues such as morals, ethics, nature vs. nurture, family, love, etc. 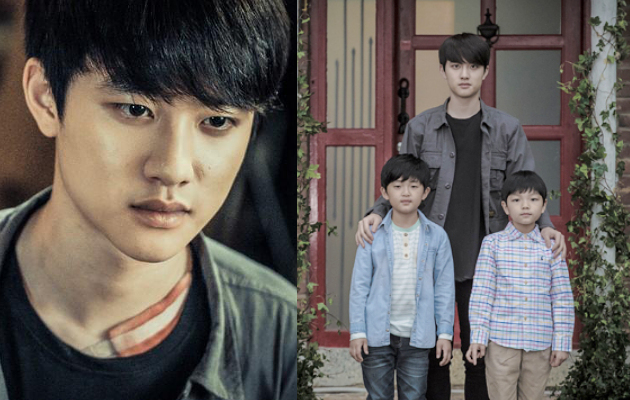 One of the major themes throughout the drama is about monsters, whether they are born or whether they are created. It's up to you, the viewer, to figure these things out yourself but the drama gives you ideas to ponder about these life questions.